Can I Wear a Snoring Mouthpiece Instead of My Retainer? This is actually a question that I have received from several of my readers which has prompted me to discuss this topic. Before we get started, I would like to clarify that I am not a physician, only a reviewer of snoring devices with several trials under my belt. You can learn about several products that I have tried right here on this website. That being said, let’s get started by discussing exactly what a retainer is and then we will get down to the bottom of this question. So your braces are off and you have been issued a retainer by your orthodontist. What exactly is this for and is it important? 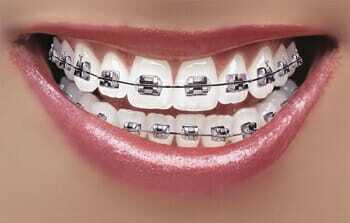 Most who have braces are given a retainer shortly after their braces are removed. Your orthodontist may instruct you to wear it for several weeks, 24 hours a day, and you may eventually wear it only while asleep, usually for several additional months until it’s no longer needed. This process usually takes up to a year or more. While it may not look like much, the primary purpose of the retainer is to prevent your teeth from shifting as your gums heal and stabilize. This prevents your teeth from relapsing to their original position. This is your typical “boil and bite” style mouthpiece. Notice the upper and lower trays are connected. Also, it’s made from a soft plastic that is not ridged and has no framework. There are four types of retainers – Hawley, Essix, Zendura, and Bonded, each style has its own advantages and disadvantages. The first three types are removable while the third type remains in place, usually glued in by your orthodontist and then later removed. Retainers are often made of a semi-ridged plastic polyvinyl chloride or similar material. They may even incorporate a wire frame that conforms to your teeth to help keep your retainer in the proper position. This semi-ridged material provides support, preventing your teeth from moving position. In contrast, most snoring mouthpieces are made from a soft, thermoplastic material that is very pliable and often does not have the metal framework or additional support to prevent movement. Retainers are created by your orthodontist to fit the exact contour of your teeth. This means every nook and cranny around and in between your teeth. This close fit is essential in when it comes to preventing movement. While there are several boil and bite mouthpieces that take a close impression of your teeth, none of them are going to come close to the fit that your orthodontist will create for you. Retainers are two separate pieces, one for the upper set of teeth and one for the lower set. The two retainers are not connected. With a snoring mouthpiece, the upper and lower trays are fused together which is how your jaw is held forward. Your orthodontist will monitor your progress while wearing your retainer and make adjustment as needed. With a snoring mouthpiece, there is no oversight of an orthodontist. Simply stated, a snoring mouthpiece is not as close fitting, is one piece, is not as rigid as a retainer and is not intended to be used as a retainer. Doing so will likely result in more harm than good. Wearing a boil and bite snoring mouthpiece in place of a retainer is not a good idea and it should not be used as a substitute. After wearing your braces for several months, the last thing that you want to do is not wear your retainer and revert back to your old smile. If you are battling snoring while wearing a retainer, the best option is just to wait until your orthodontist gives you the okay and lets you know that your retainer is no longer needed. Alternatively, you may want to speak with your orthodontist about using a Tongue Stabilizing Device (TSD) in conjunction with your retainer. TSD’s attach to the tip of your tongue which holds the tongue forward and tightens the muscles in the airway. An example of a TSD is the Good Morning Snore Solution, which I have tested and completed a review. While this product works using a different principle in comparison to the MAD, it’s always imperative that you first discuss this option with your orthodontist prior to use. Once again, you don’t want to lose that smile that you worked so hard to achieve. Can I use a snoring mouthpiece with full or partial dentures, bridges, crowns, caps or missing teeth? 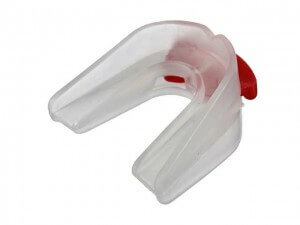 What does it feel like to wear a plastic anti-snoring mouthguard? Next post: My Husband Snores – What Can I Do To Make Him Stop?